The Fiat Ducato, Europe's best selling van is available at Donnelly Fiat, the only official Fiat Professional dealer in Northern Ireland. The Fiat Ducato is your perfect business companion combining functionality, capacity, practicality and comfort. The Fiat Ducato offers an innovative look with a dynamic and robust personality with everything you need at your fingertips. 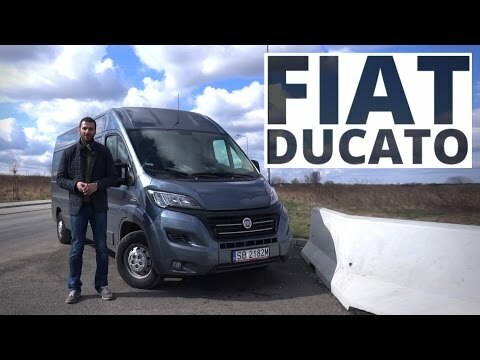 Fiat Professional have developed an alternative engine technology to meet new Euro 6 regulations unlike most other manufacturers meaning your new Fiat Ducato doesn't require the addition or maintenance of an AdBlue tank. *Images for illustration purposes. Subject to stock availability. Offer applies to vehicles ordered and registered by 30th June 2019Ts&Cs apply. Vehicle shown has metallic paint, front fog lights, black alloy wheels, aluminium skid plate, LED daytime running lights, black front grille and chromed bars.